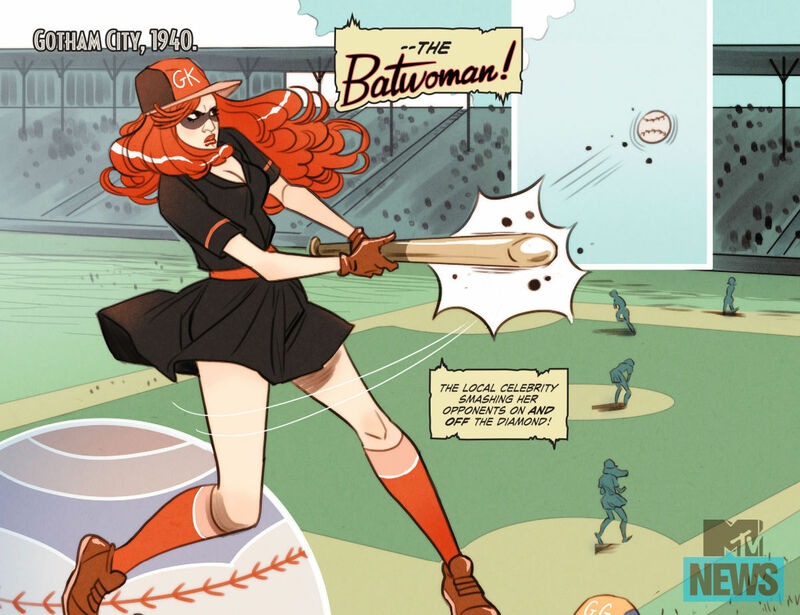 The DC Bombshells comic will be available as of tomorrow digitally. MTV News posted preview pages, which these images are taken from. It’s written by Marguerite Bennett, designed and drawn by Marguerite Sauvage. Looks fun and attractive (even if that is a terrible pun), although I’ll be waiting for the print version, due August 12.